Fala rapaz é vc mesmo? Aqui e o Edevaldo Jr (Elder MOreira) Vc sumiu manda email. Abraços! I somehow stumbled upon your blog and am highly impressed by it... Have read most of your blogs, as i'm also very much interested in the field of Computer Graphics and animation. Just wanted to point out that the code you have supplied is not download able.Showing some error. I lost the code when I cleaned out that directory. If you can go to my other post, however, and get the lecture notes for the course I was in. It was a very practical course with lots of code snippets and tips. 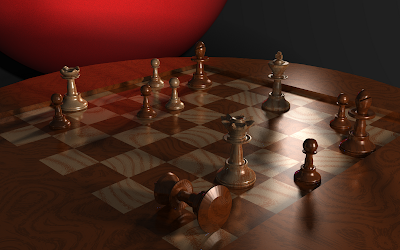 It's good for someone writing their first ray tracer. If you're new to computer graphics, let me know of anything that might be interesting to post or something confusing to a novice.